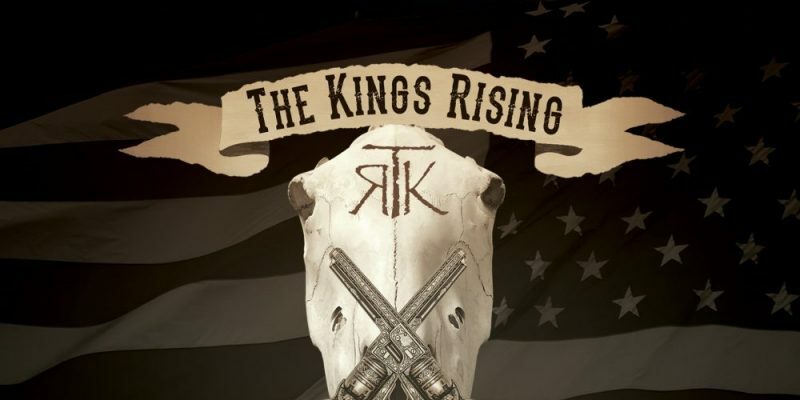 Pistolero Americana is the aptly titled, explosive and attention capturing new album from Chicago blues-rock troubadours The Kings Rising. Mr Gasoline Indian fires things up with its infectious rhythm and striking progression, complete with grit, weight and intensity, not to mention an immediately intriguing and memorable hook. Bottle Of Champagne follows, a more spacious song, within which the passion and power of this classic rock vocalist stands incredibly tall. Your focus is on the story-telling here, the lines lead you through the tale, the instrumentation keeps your heart beating at the right kind of pace. The music is high energy, the project surrounds you with thick, partly organic, partly heavy and distorted, chaotically yet effectively arranged musicianship, and it works. Colgate Joe continues down the road of unexpected, untold stories. The music has the swagger and style of a classic blues-rock anthem, bringing a touch of both nostalgia and freshness to the stage. Molotov Cocktail follows, the underlying themes of the album start to connect a little more. This classic, passionate Americana core seems to come through with everything we tend to consider when the term appears. Times are hard and these songs face the world in a bold and unapologetic way. Black Powder opens up with an instantly appealing guitar riff, the likes of which most commonly lead into something of an indie-rock anthem for the disenchanted. The heaviness falls away, laying bare a blues-rock essence that rides out confidently alongside of a rhythmic and characterful bass line. You hear the story more clearly hear, as well as the various intonations and traits of the leading voice. The song’s hook works well, the changing ambiance backs up the movement brilliantly, then things continue to evolve from here on in. The pace rises up again for I’ve Gone Mad, manic guitars and crashing symbols surround a deeply personal song, rather poetically reflective of inner turmoil. At this point there seemed to be a touch of the great Chris Cornell, though later on this returns to more of an Iron Maiden style of theatrical rock performance. There are numerous hints of influence throughout this collection, for the most part though, the band’s natural eclecticism leads you to comfortably familiarise yourself with this being simply their sound. The musicianship is skillful and creative, the leading voice throughout maintains that passion and grit to carry each song with authenticity and strength. A live show would likely work wonders. The Hunter takes the dramatic rock stage show style a little further, a higher key and a chorus of voices deliver the song and its sentiment with almighty presence, vibrant instrumentation supports and enhances the vibe every step of the way – the guitar work is superb. Sweetwater follows, offering up a casually stylish, calmly confident sense of swagger. A classic country rock edge comes through, the melody works brilliantly, contrast is well utilized – the gentle verses lead powerfully up towards the absolute intensity of the hook section. Still Talking seems close to settling things down afterwards, but this is due to a misleading touch of atmospheric stillness. The song explodes into life, the energy is sky high, the passion seemingly at its peak from the offset (another misconception). The drama and build up of this one makes for something immensely satisfying and interesting from start to finish. Three Piece Suit brings about a notably creative soundscape, upon which each moment of instrumentation appears to have been genuinely crafted and incorporated with care. That Audioslave, grunge-esque verse style returns, then the blues rock rhythm and hypnotic progression of the hook takes over, and once again the entire song surprises and entrances you. A definite highlight, contrast effectively keeps you captivated, a quirky and intriguing concept makes certain you remember it. Then things come to a striking close with a piece simply titled Pistol. Stunning guitar work lays out the ambiance, meandering performances craft a colourful and reflective ambiance, upon which the melody and the story-line can really work their magic. The songwriting is top notch, the progression through the notes and the various sections works incredibly well, and so, as expected now, the hook hits hard. This project is well worth exploring if you’re a fan of the raw edge and entertainment of unforgiving hard rock and blues. 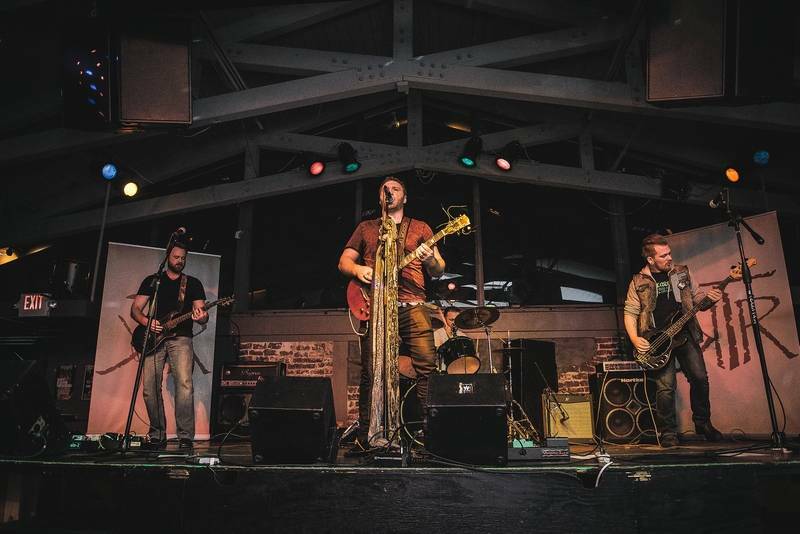 The Kings Rising are a band you’ll want to check out at a live show should the opportunity arise. Stream the album on Spotify. Find & follow The Kings Rising on Facebook, Twitter & Instagram.